Birmingham-based partnerships are key to SpaceFinder Birmingham fulfilling its potential. The ultimate goal is a truly comprehensive resource for all creative disciplines. Birmingham, Alabama is a growing cultural hub with over 22,000 creative jobs generating over $558 million in household earnings. 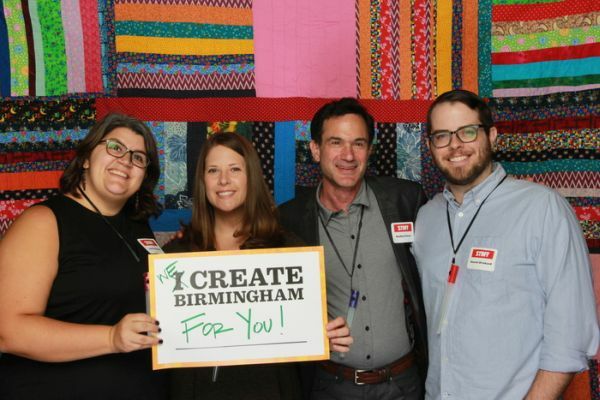 The leadership of Create Birmingham approached Fractured Atlas in early 2015 about bringing the SpaceFinder program to the Magic City as part of a strategic plan to serve and retain creative talent. It is on the foundation of that vision that SpaceFinder Birmingham exists today.